Hibs’ Head Coach Alan Stubbs today backed the Board’s game plan to widen ownership by offering supporters the chance to own up to 51% of their football club. Stubbs told the club website: “It’s really important everyone is united behind the plan and pulling in the same direction as we move forward together as a Club; on and off the pitch. “I think supporters will be excited about taking the opportunity to have a bigger say in their club, and by buying the shares they will also help us to develop the team. There are two basic propositions – buying and owning shares directly from the Club via the share issue, or being part of a collective ownership through Hibernian Supporters Limited. Existing shareholders: The Club has 1700 shareholders, and it is open to them to buy more shares. The Club has issued an Information Memorandum to existing shareholders, explaining how they could subscribe for shares. This process is not governed by the same level of regulation which applies to non-shareholders. Supporters on the Club database who wish to buy and own shares direct: Letters have been sent from Chairman Rod Petrie to supporters on the Club’s database who have purchased match tickets within recent years. The letter explains that The Financial Services and Markets Act 2000 and related legislation provide protection for people buying shares in the Club which fall into the category of “non-readily realisable securities”. 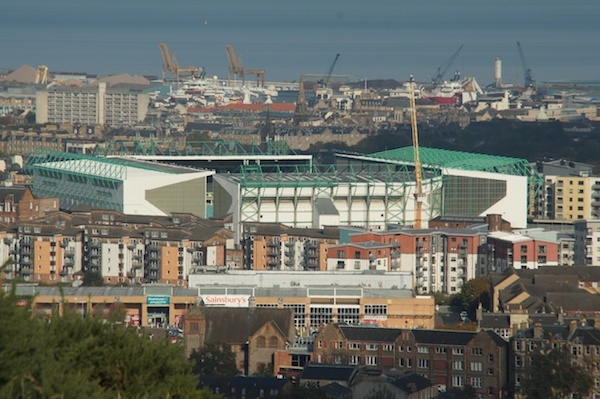 People in this group who wish to buy shares directly, and so own a Hibernian FC share certificate, need to go through a rigorous process to comply with the legislation, and that process – involving confirming your desire to be a Potential Applicant for shares and also consulting an Independent Financial Adviser – is detailed in the letter they received, which also included forms that need to be filled in and returned to the Club. For supporters who do not wish to, or qualify for, the opportunity to buy and own shares directly, or who believe in a collective ownership model, Hibernian Supporters Ltd was launched, with a Board of seven directors chaired by Kenny MacAskill MSP. The Board also includes former Club captain Jackie McNamara, Proclaimer Charlie Reid, and other founding directors including supporters Jim Adie and Gordon Smith along with former Club Director Stephen Dunn and Club Chief Executive Leeann Dempster. Any Hibernian supporter anywhere can participate through HSL, which is a company limited by guarantee with the sole objective and aim of buying and holding shares in Hibernian FC for the benefit of supporters. Any person can sign up to donate (the minimum suggested donation is £225 or £18.75 per month) to the company and this money will be used to acquire shares in Hibernian. Supporters who make contributions will not own shares directly but will own Hibernian Supporters Limited, which in turn will own the shares in the Club. Every person who donates the minimum amount will become a member of HSL, and each member will have one vote on issues affecting HSL, including the make-up of its Board. HSL has a binding legal agreement with the Club to guarantee the transfer of shares on the receipt of funds. Supporters who contribute through HSL will not own receive a share certificate, as they will not own shares themselves, but they will receive the equivalent membership certificate acknowledging the part they have played in securing supporter ownership of the Club.